» Keyboard Reviews » Cooler Master Devastator 3 Review, Third Time’s A Charm? Cooler Master (www.coolermaster.com) has been a big part of the PC gaming industry for quite some time now, they were founded in 1992. They started with CPU coolers and branched out into different product categories as they grew as a company. They are very popular with coolers and cases and are starting to put a dent into peripherals as well. 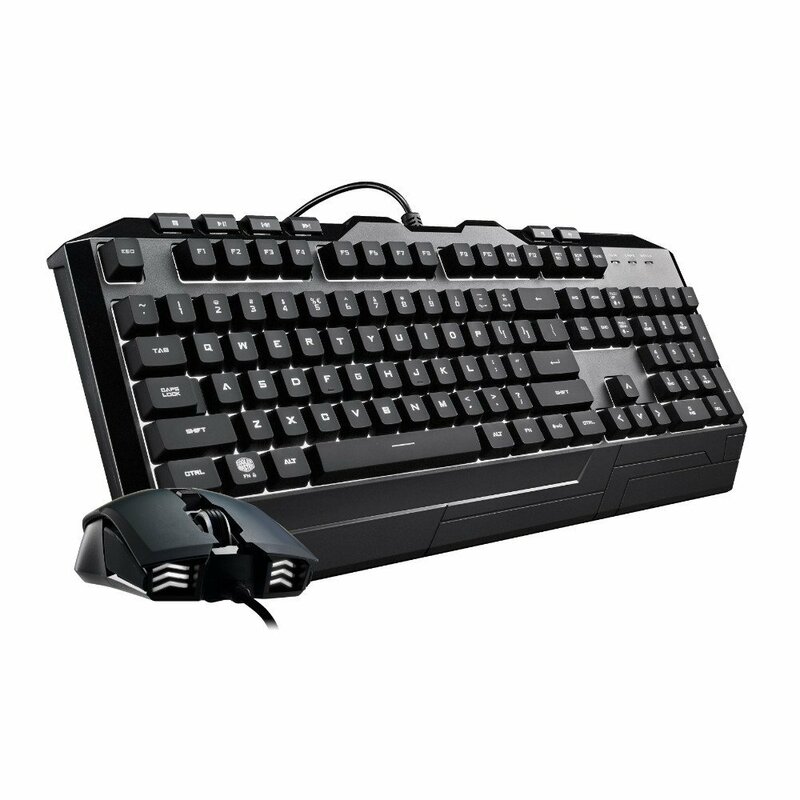 The CM Storm peripherals, what the Cooler Master Devastator 3 design comes from, dates back to 2011. It’s appreciated that they seem to always be trying to innovate the design of their keyboard/mouse combo – by doing so they not only improve their own product but they also are good competition to increase innovation of other brands as well. Cooler Master has been a highly trusted brand for different parts of a PC and it’s exciting that they’re getting into making high quality peripherals! 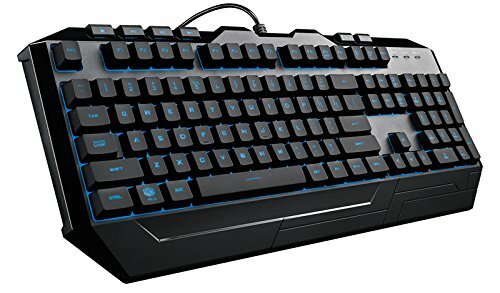 Cooler Master is dictating this keyboard as a “mem-chanical” keyboard. What does that even mean? It sounds like it is half mechanical, half membrane. If you’ve ever felt the difference between the two types then you understand the difference in what it feels like for typing or having the feedback “click” with a mechanical keyboard that you don’t get with a membrane keyboard. A membrane keyboard would be your basic office keyboard feel. Keys don’t really have a “click” feel or sound because it’s only pushing down a key far enough for it to make contact with the rubber underneath to hit the sensor. A mechanical keyboard has an actual switch that clicks down and clicks onto a sensor with a specific amount of pressure. What Cooler Master is saying here is that they’ve got a combination of the two which in a way, they do. It still uses rubber underneath the keys which are pushed down onto a sensor but each key has a switch as well for a certain amount of pressure. It’s mostly going to feel like a membrane keyboard but you’ll be able to feel the switch when it’s pushed down far enough. This improves the overall feedback from the keyboard and it also helps with the durability. With the previous generations of the Devastator combo there were some that said it didn’t last over a year and sometimes keys would get stuck. With this new design, they’ve gotten rid of those problems. It seems like this is the design that really will stand the test of time. Another new feature with these design changes is being able to switch through 7 different LED color options with the keyboard and the mouse. You can switch between red, blue, green, white, purple, yellow and cyan. With previous models you’d have to choose a certain color option and stick with it. Now you’re able to choose whichever color will fit your style which is a nice bonus to add in! Now onto the mouse, is it designed with performance in mind? All in all, yes it is. It uses an optical sensor, has a durable feel, has four DPI settings of 800, 1200, 1800 and 2800 as well as having a couple of buttons for your thumb for extra button mapping. An optical sensor is used in most mice these days. It won’t be able to be accurately used anywhere you use it but for a mouse pad it’s going to perform how you’d expect it to. Nothing special here, but nothing low quality either. Mouse material is important because if you get a mouse that’s made up of super cheap plastic then it’s not going to last long at all. The Devastator mouse in previous generations was also made of high quality and they haven’t changed much here in terms of design or material because it has been working for a while now. A key design difference would be how the DPI setting is changed. Now instead of pushing a single DPI switch on top, it is now a LED switch. To change your DPI setting you’d press the LED switch and the forward or back thumb button to go up or down in DPI. Finding that sweet spot with your DPI is important and it comes down to your play style. If you’re using a smaller mouse pad then odds are you’ll be aiming with your wrist more so you’d want at least that 1200 DPI setting and then switch up the in-game sensitivity to whatever is best for you. For those of you using a larger mouse pad and aiming more with your forearm, the 800 DPI setting would be your best bet and then again changing up your mouse sensitivity in-game to whatever feels best. After I used a mouse that had two extra thumb buttons on the side I told myself I’d never go back to a mouse that didn’t have the extra buttons. This mouse has those two extra thumb buttons and they’re a lot more useful than you’d initially think. For example, in PUBG I could have one thumb button set to map and one for voice chat. Or have one set to quick use bandages. They’ll have different uses for each game you play and you’ll be able to set them to whatever you’d like to. 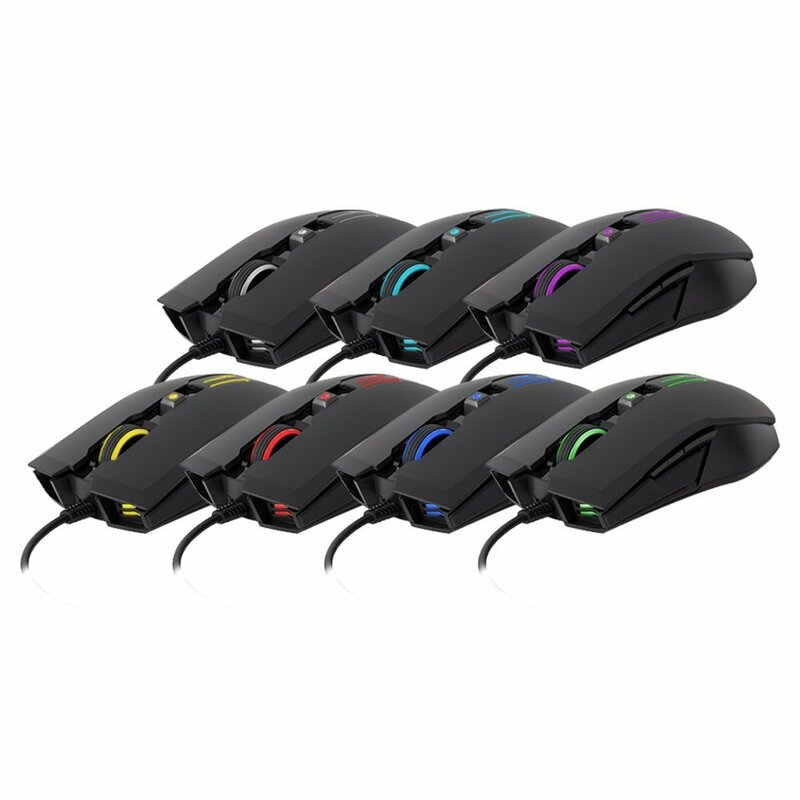 The mouse also has the same 7 different color options as the keyboard and you’ll be able to have it whichever color you want, it isn’t in sync with the keyboard. You want your mouse to be white while your keyboard is green? Go for it. Is This The Ideal Combo? If you’re looking for a combination of a keyboard/mouse that doesn’t completely break the bank while also being made with quality in mind then you should definitely consider the Cooler Master Devastator 3. Sure, there are better keyboards and mice out there. But you don’t need a mouse with higher DPI if you’re gaming at 1080p and the keyboard isn’t just a basic office keyboard feel. You should also check out some of the reviews over on Amazon, they’re better this time around compared to the other versions of this combo. So, are you going to be going with this combo? Tagged cooler master, devastator, gaming keyboard, gaming mouse. Bookmark the permalink. 8 Responses to Cooler Master Devastator 3 Review, Third Time’s A Charm? Excellent review. I’m glad you explained “mem-chanical”. I had never considered the difference in the two kinds of keyboards – or the hybrid combo. I have never seen this keyboard and mouse, but now will consider for my next purchase. I’ve been using a basic office keyboard and mouse which isn’t as useful as good gaming peripherals. I’m happy to hear that you liked the review, Robbie. Mem-chanical gets it done for those that aren’t looking for a perfect “mechanical” experience. If you want higher precision then a gaming mouse is essential. I have bookmarked your article. I built a gaming PC with emphasis on the PC. Didn’t pay that much attention to the keyboard and mouse, but I should have. You have heightened my senses with regards to the mouse and it’s capabilities. I need to follow your links to become further educated and possibly upgrade to Devastator. Awesome Chris, I’m glad that you are enjoying the posts here! The Devastator combo is a good one. I have to admit that after using this combo for a while, it held up really well. Though I have recently just upgraded to this combo after seeing it on Linus Tech Tips. It is fantastic, the difference between the membrane and mechanical is night and day when it comes to the comfort and feel of typing and gaming. For under 70 bucks I can’t complain at all. It’s definitely worth the asking price. Not a bad combo at all and it lasts quite a long time! It’s a great keyboard, especially for the price range! Grats on getting to GE!